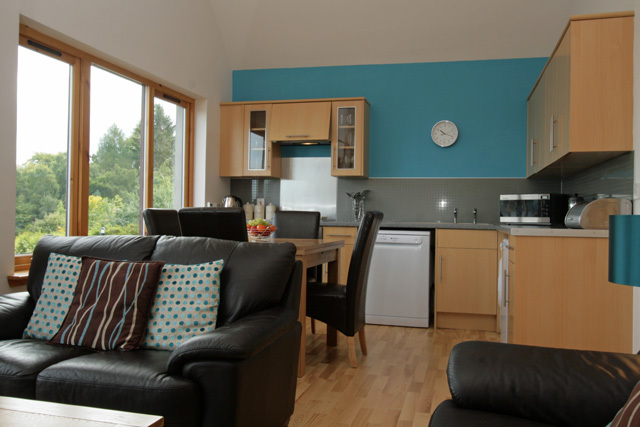 Beech Lodge is situated in a great location not far from the village of Beauly and the City of Inverness. 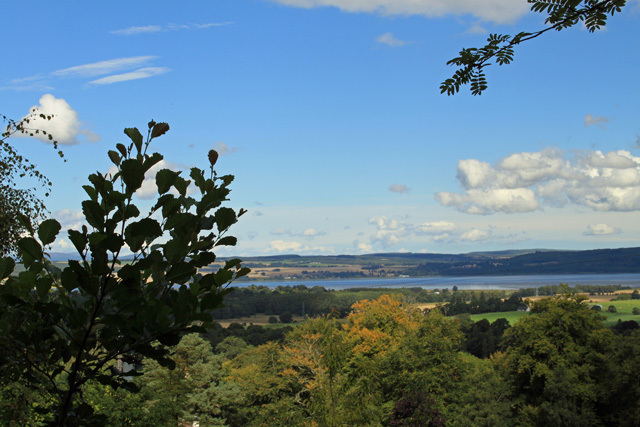 The property positioned in an elevated position enjoys panoramic views towards the Beauly Firth and Ben Wyvis. 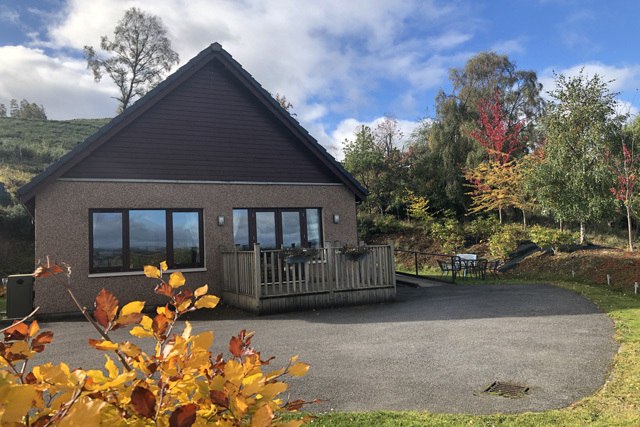 The property would make an excellent base for exploring not only the Highland Region, but further afield to such places as the west coast and the Cairngorm National Park. Inside the property guests will find a large open plan room with the lounge at one end and the kitchen and dining areas at the other. 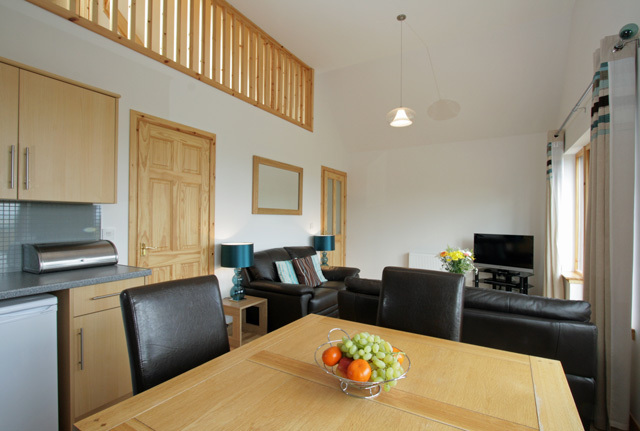 This room has a vaulted ceiling ensuring that it is bright, spacious and light. 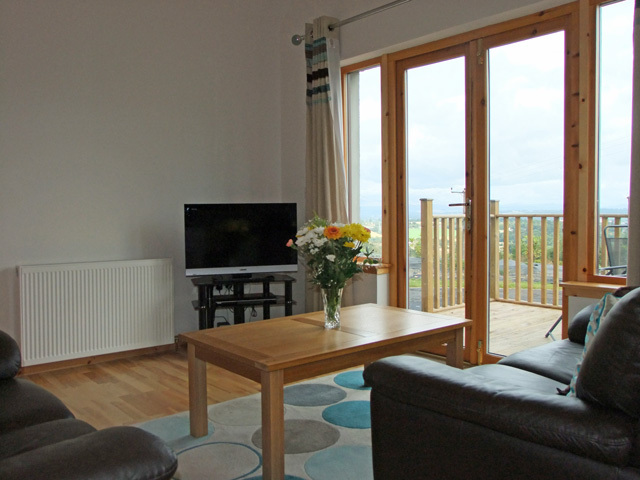 Tastefully furnished in a modern contemporary style, with comfortable sofas and a flat screen TV, it also benefits from having direct access to an outside decked area, complete with garden furniture. 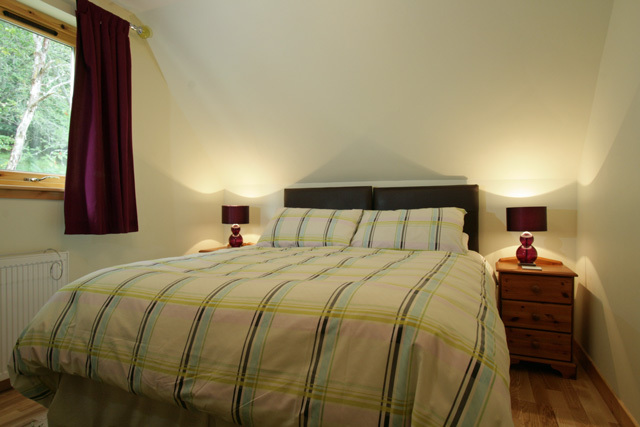 The master bedroom with an en-suite shower room is located off the central hall, as is a separate shower room. Upstairs the second bedroom is situated, which can be set up either as a king or a twin room, depending on your requirements. Outside the open plan garden has various areas to sit and relax. The village of Beauly is just four miles from the property and has a good range of small shops, cafes and restaurants, a popular choice being The Old School. The area also is also home to a number of small art galleries, a couple of popular ones being The Beauly Gallery and the Kilmorack Gallery. Further afield the City of Inverness has all the usual amenities and many places of interest for the visitor including Abertarff House, the cities’ oldest house and the Ness Islands. Culloden Battlefield is located on the outskirts, it was here in 1746 that the last battle on British soil was fought, and the location with its visitor centre makes an ideal day out. 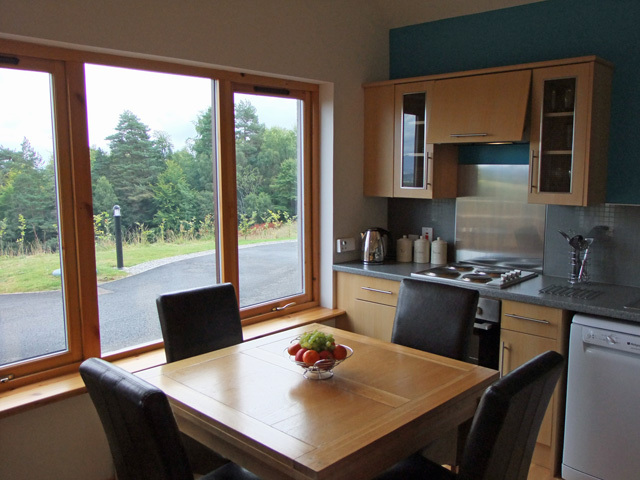 Open plan kitchen / diner / lounge - views towards the Beauly firth. TV with freeview, DVD, CD, and radio. 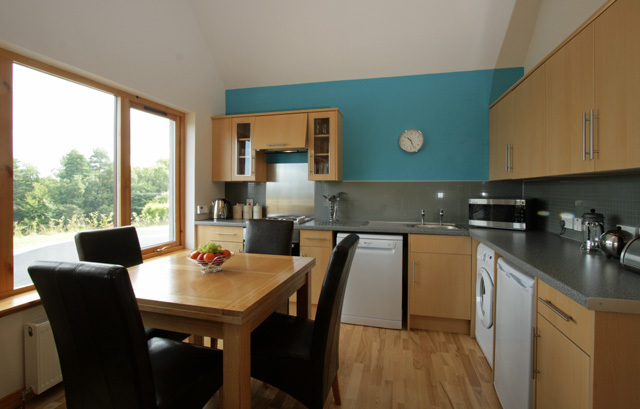 Fitted kitchen with electric cooker and hob, fridge with freezer box, microwave, dishwasher, washing machine. Dining table and chairs to seat four. 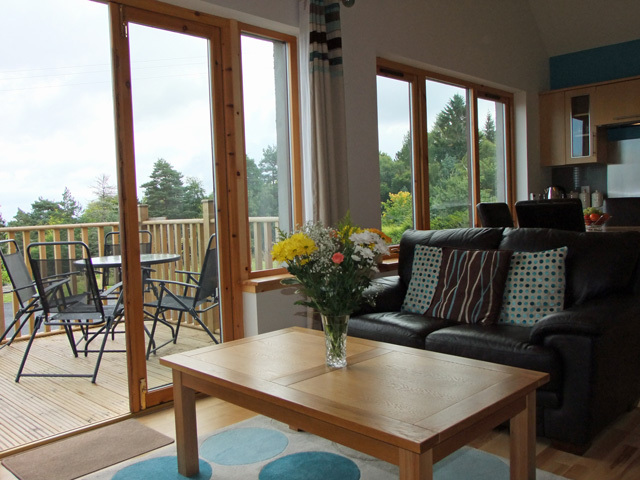 Lounge has patio doors leading to the decking area, with table and chairs. Master bedroom with double bed, en-suite shower room, with wc and whb. 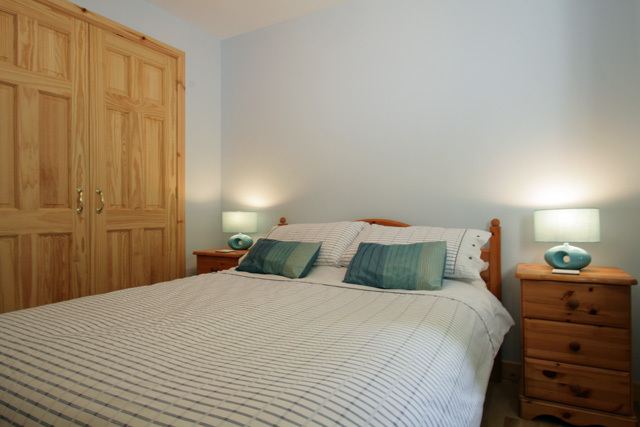 Master bedroom with king size bed, this can be split into twins, please advise at time of booking if required. Selection of DVDs, games and reading material. Rural location with village amenities close to hand. An ideal base for exploring the Highland Region. 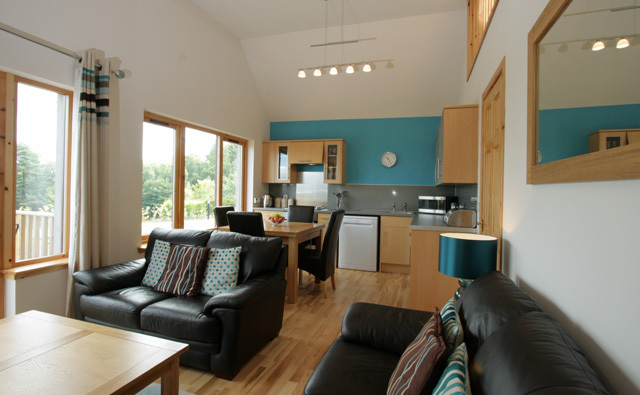 Modern spacious property furnished to a high standard. We had a lovely time at Beech Lodge. 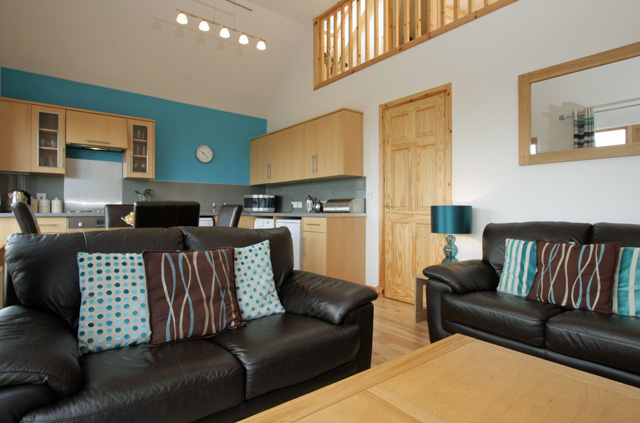 The cottage was very clean, well-equipped and comfortable. The location is convenient for exploring a wide area as well as local walks and wildlife.Donny and Jean were very friendly and welcoming, and Donny's scones were delicious! We had hoped the weather would be better in the east of Scotland and were proved right; we didn't need our waterproofs all week!